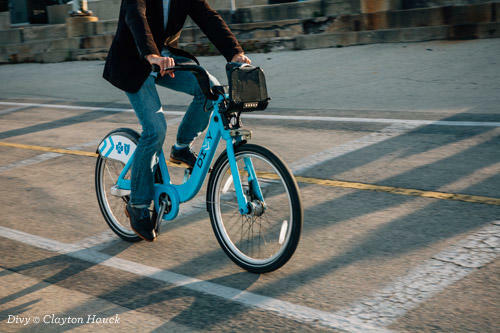 Though you can always walk the length of the trail, renting a Divvy bike is the easy and fun way to explore the 606. There are 17 Divvy stations located within a block of the 606. Your best bet is to park your car near Julia de Burgos Park (or arrive via public transportation), one of the trails main entry points. Sip Cocktails on the Parson&apos;s Patio. Exit the trail at Humboldt Boulevard and make your way to Parson&apos;s Chicken & Fish (2952 W. Armitage Ave.). The patio here is the place to be on summer evenings: the cocktails are crafted, the (local) beers are always cold, and the people watching prime. The frozen cocktails invite trail riders to cool off accordingly, and the Original Negroni Slushy is the perfect cocktail to whet your appetite for dinner while setting the mood for a summer evening of exploring. Enjoy Fast Casual Piemontese Cuisine at Animale. Hop back on the 606 and then exit at Western. Animale (1904 N. Western Ave.) features Italian street food with a spin: think house made pastas, inventive paninis, and untraditional cuts of meat like rabbit livers and sweetbreads. Brought to you by the team behind the acclaimed Osteria Langhe, this new hotspot offers a taste of Piemonte in the heart of Bucktown. The fast casual dining experience is easier both on the go and on a budget. 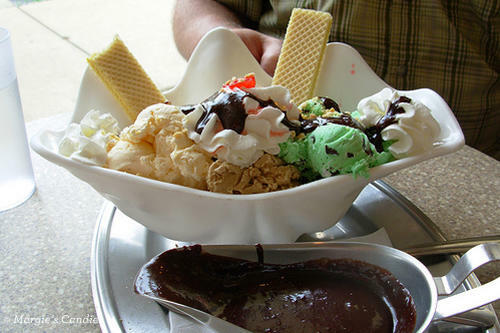 Share an Ice Cream Sundae at Margie&apos;s Candies. Bike a block down Western to Margie&apos;s Candies (1960 N. Western Ave.), a Chicago original that has been serving up its patrons — including Al Capone and The Beatles — their signature sundaes, splits and housemade chocolates from its small parlor since 1921. Summer in Chicago just isn&apos;t summer without a trip (or two or three or four...) to Margie&apos;s Candie. The sundaes are huge here, so plan on sharing one with two spoons. Sing your heart out at Louie&apos;s Pub. Hop back on the trail again and ride to the eastern end point at Walsh Park. Louie&apos;s Pub (1659 W. North Ave.) is just a short ride away. Known for its craft brew selection, free popcorn and the not yet famous stars that hit its karaoke stage, this is a bar where you can sit back and sip or sing your heart out onstage. The 606 is open year round, from 6 a.m. to 11 p.m. For more info, including an interactive trail and park map, visit the606.org. Explore the communities along The 606 by checking out our list of Chicago neighborhood guides.